The Yoyofactory Velocity has been one of the most popular beginner yo-yos on the market for years. The adjustable response has given it the ability to be responsive and unresponsive bridging the gap between beginner tricks and advanced play. Recently, Yoyofactory decided to revamp the Velocity to improve the yo-yo and update the design to today’s standards. Changes were made to the yo-yo’s shape, response adjustment dials, and even the plastic used in the throw. Have these changes benefited the Velocity? Yoyofactory made lots of changes for the new Velocity. First things I noticed were the different plastic and the new dials. The plastic has changed from translucent materials to opaque ones with a wide variety of colors. I chose the green, but there is also a black, a blue, and a red Velocity available. The dials have been changed so they are bigger, have ridges molded into them, words printed onto them. The ridges make the dials easy to grip and the words say “Easy” and “Pro” with arrows above them to show how to rotate the dials to make the Velocity responsive or unresponsive. 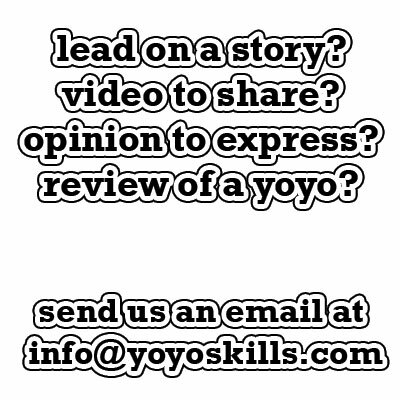 These factors make the Velocity much more user friendly to a new yo-yoer. On the old Velocity, the dials were smooth and had no words to indicate what rotating the dials would do. Furthermore, they were the same color as the hub of the yo-yo. They blended in and did not look like they moved. I applaud Yoyofactory on these changes. I was also impressed by the new packaging of the velocity. Bigger, but not too much bigger, good graphics and colors, and easy to open. Very eye-catching and professional. The classic Yoyofactory box was okay, but this new packaging is fun and appealing. Other properties I liked with the yo-yo were the altered shape and response system. The shape of the new Velocity is more organic and more comfortable in the hand than the old Velocity with its blend of organic/H-shape design. The response system is a pad system, a reliable and smooth system that Yoyofactory did use in the old Velocity. Though the pad system looks the same, I’m very happy that it stayed. Some beginner yo-yos rely on a starburst system that can snag and slow down the yo-yo quickly on a bad throw. I find the pads to be smoother and more forgiving. Pretty much there were only two things I did not like with the new Velocity. One was the lack of rim weight. 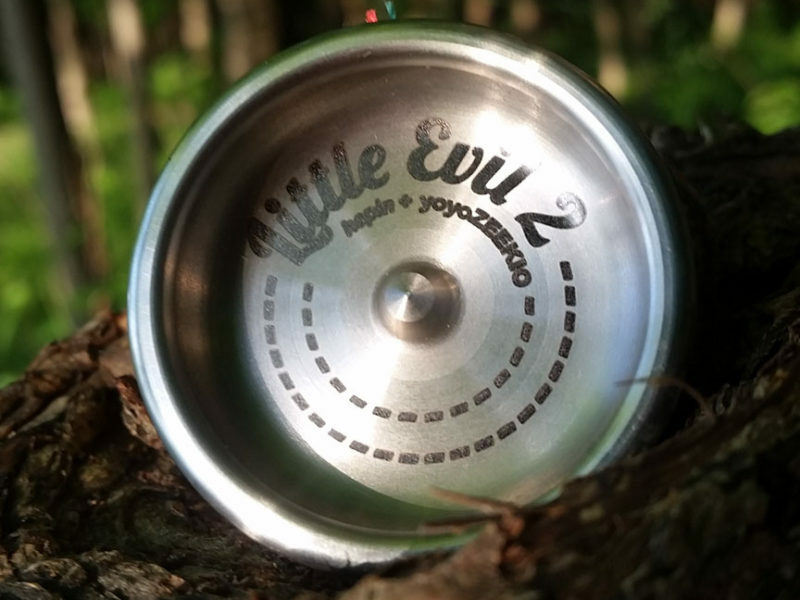 With the dial system shifting more weight toward the center of the yo-yo, I would hope for more material or a weight ring on the rim of the yo-yo. Also, the new Velocity still retains the A-sized bearing. The small bearing works fine, but with a majority of the yo-yo market using large C-sized bearings (including Yoyofactory’s ONE), I was hoping the new Velocity to follow the trend. This would widen the gap of the Velocity, easing unresponsive play, and make it easier to find replacement bearings. Impressive! In both responsive and unresponsive settings, the new Velocity feels much more solid than the old one. In responsive mode, the Velocity is capable of just about any responsive trick you can think of. Stop ‘n’ Go, stalls, just about anything I could throw at it. The adjustable system held up and the responsiveness stayed consistent. Switching responsiveness was much smoother than it was with the old one. Not sure if it was the ridges on the dials or if the dial system itself was changed, but adjusting this Velocity was much easier than before. Putting this throw through some long combos revealed that the new model is more stable and has a much better feel on the string. It has a greater presence than the old one. It has a nice amount of float to it too. It feels much more capable than the old Velocity. It made me want to see what it could handle before it ran out of spin and I was surprised each time by what it could do. The main thing I found to be problematic with the Velocity was its weight. The Velocity is very light, weighing in under 62 grams. If it were a couple grams heavier, I feel it could be a very strong and capable yo-yo. It already can do a lot, but more weight would yield more stability and longer spin times. The vibe was expected since the Velocity is a plastic throw with a bunch of parts, so it did not bother me too much. One other thing to note though is that when one of the response dials in adjusted too far clockwise (responsive), the response pad shuttle pops out of the hub. It is easy to put the shuttle back in (push it into the hub while adjusting it counterclockwise), but for new young yo-yoers, this may be problematic. 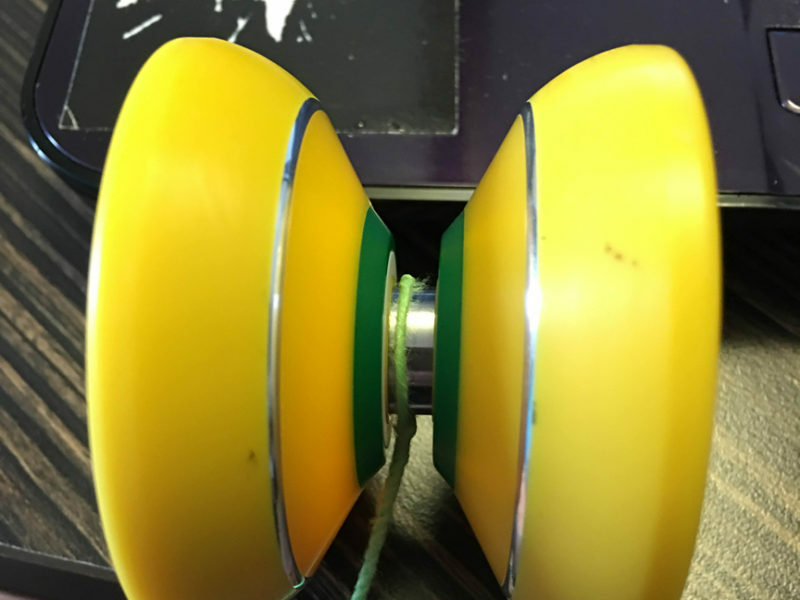 I run a skill toy club and some new yo-yoers have run into this problem after adjusting one dial too far. It is an easy fix, but it can be frustrating to a young thrower. The old Velocity was what many considered to be one of the best beginner yo-yos on the market. The new one is an even better yo-yo for a new yo-yoer. It is much more user-friendly with the new dials and way more capable than the old Velocity thanks to its new shape and plastic. Yoyofactory made fantastic changes to the Velocity. To me, it is the best beginner yo-yo you can find. It bridges the gap between responsive play and advanced unresponsive play brilliantly. Written by Will who is fascinated with spinny dial thingies.